This set of tools includes everything you could possibly ever need in your sculpting endeavors. using our Baby Bubble Maker. Now you can create bubbles. Apply this solution to your baby's mouth then use the 'Baby Bubble Maker' to blow tiny bubbles into it. Dries clear and wet looking. 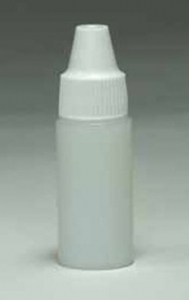 Comes in a 6ml bottle with fine applicator tip. Keep from getting more paint on you than on your baby! The Brush & Tool Stand is perfect for holding all your brushes & tools. 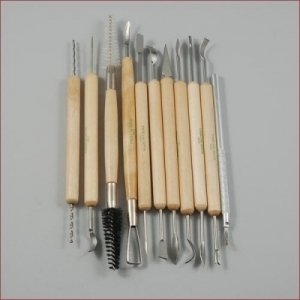 It has 44 Openings for your tools & Brushes. or pouring thinner into squeeze bottles. Need help mixing paint colors? you need to mix to achieve the desired effect. Package of 40 Cotton Rounds. Great to use in painting and coloring skin tones. Also use to glue on limb ends to hold in pellets and stuffing. for even baking of your Doll Parts. Holds your Doll Parts to Dry & Bake. 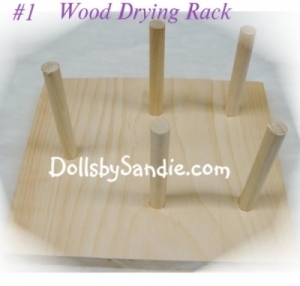 Drying Rack has 8 Posts. Dry your washed or painted Limbs. Handy, lightweight drying rack makes it easy to dry inside and outside. Little 10 gram Paint-Safe Jar. Store any color or color-mix in these little jars. Save even more in quantities. 30 gram jar for Air Dry Paints Only. Great to store your color-mixes in these jars. Petite 5 gram Jar for storing paint. Store your paint in a paint-safe jar. Store any color or color-mix in these adorable little jars. Used to hold the eye during insertion into the eye socket. Shank can be bent to the proper angle for insertion. 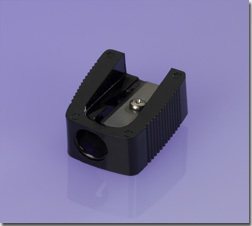 For 18mm - 22mm Size. Approx Dimentions: 1" x 1 1/2"
to hold in pellets and stuffing. No need to purchase expensive plugs. These are also great for blotting paints. Easy to paint, when you get into delicate, for hard-to-reach areas. Great for Blending and Shading. Use for your hands while painting and holding the doll. Also great for filling them with the tiny glass beads for weighting the baby. (instead of using an oven). when you only need to add a little more paint. Package of 8 Tiny Magnets - .62 cents per magnet. Super Heavy Duty Tiny magnets are very strong! 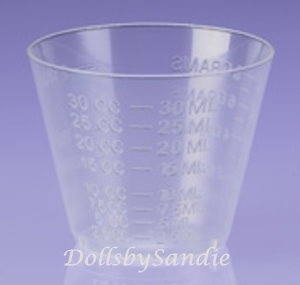 This cup allows you to measure the water when mixing Ultimate Fusion Paints. See Conversion chart for accurate ratios. Save by purchasing larger quantity packs. are great value for veining, eyebrows, creases wrinkles, etc. What a terrific little iron to press your Baby Clothing. Perfect Size! - Assorted Colors. Great for quick ironing touchups. This Mini Fan Brush allows you to create your own skin texture design. are great for veining, eyebrows, creases wrinkles, etc. Save by purchasing larger quantities! This Tool allows you to create your own skin texture design. Get good results with the right tools and equipment. It is inexpensive and works well for setting paints on reborn babies. Don't just trust the numbers on your ovens dial. Great to clean Paint Pens and Droplet Bottles. The paint eraser is the world's smallest squeegee allowing you to completely remove tiny painting mistakes in one stroke. Also a Great Tool for sculpting. This pen is the perfect solution for drawing veins and creases. It has storage tube with Cap. Save when you purchase both sizes! This Tool allows you to accurately measure the paint to water droplet ratio when mixing Ultimate Fusion Paints. Great background for inside open nosed dolls. 9" by 12" Sheet of Plum Purple Felt.